Home » Blog » Our new joint brochure! 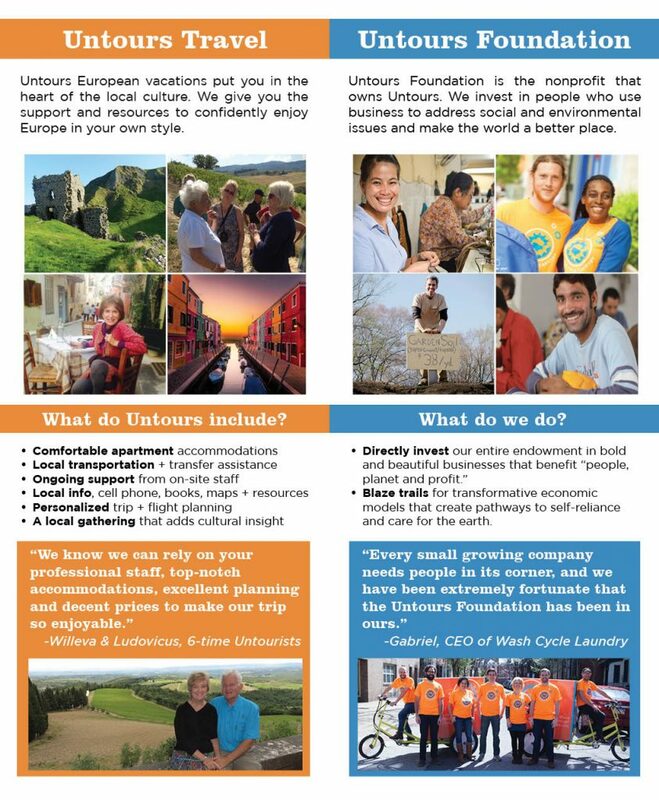 It’s been quite a few years since Untours Travel and the Foundation created a brochure together, but we figured it was about time. We are, after all, two sides of the same coin, and we support each other in innumerable ways. We’re excited to give you a preview here in digital form…but more importantly, if you would like paper copies to share with your friends, we would be thrilled to send some to you! Just fill out this short form so we can be sure we have your current address. Like what you see? Want to share some with friends? Stop by the office if you’re local, or we’ll send you some in the mail if you fill out this form. Please send me 5 brochures. Jean and I are off to Morocco in September. continuing the Foundation’s good work.